Robert Rankin is one of my personal favourites. I am lucky enough to have met him a few times at various conventions, and have a nice selection of signed and numbered books in my collection. I even had the good fortune to see him at a party he was throwing to crowdfund his film adaptation of one of his books – it was quite a surreal experience! 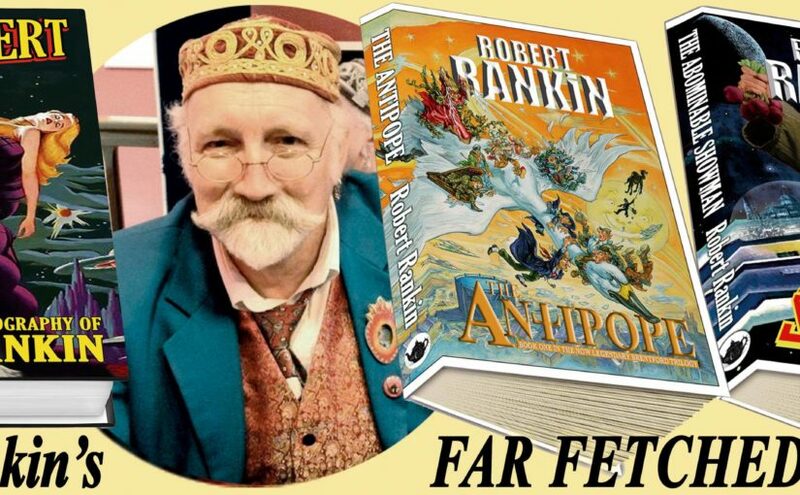 Robert Rankin was born on the 27th July 1949 but he started writing in the late 1970s. His first book The Antipope was released in 1981, but he first entered the bestsellers list in 1999 with Snuff Fiction, by which time his previous eighteen books had sold around one million copies. 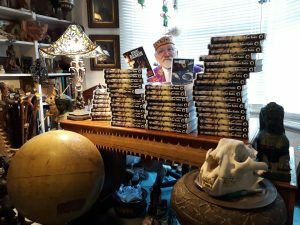 His books are a mix of science fiction, fantasy, the occult, urban legends, running gags, metafiction, steampunk and outrageous characters. Robert Rankin describes himself as a teller of tall tales. According to the (largely fictional) biography printed in some Corgi editions of his books, Rankin refers to his style as ‘Far Fetched Fiction’ in the hope that bookshops will let him have a section to himself. 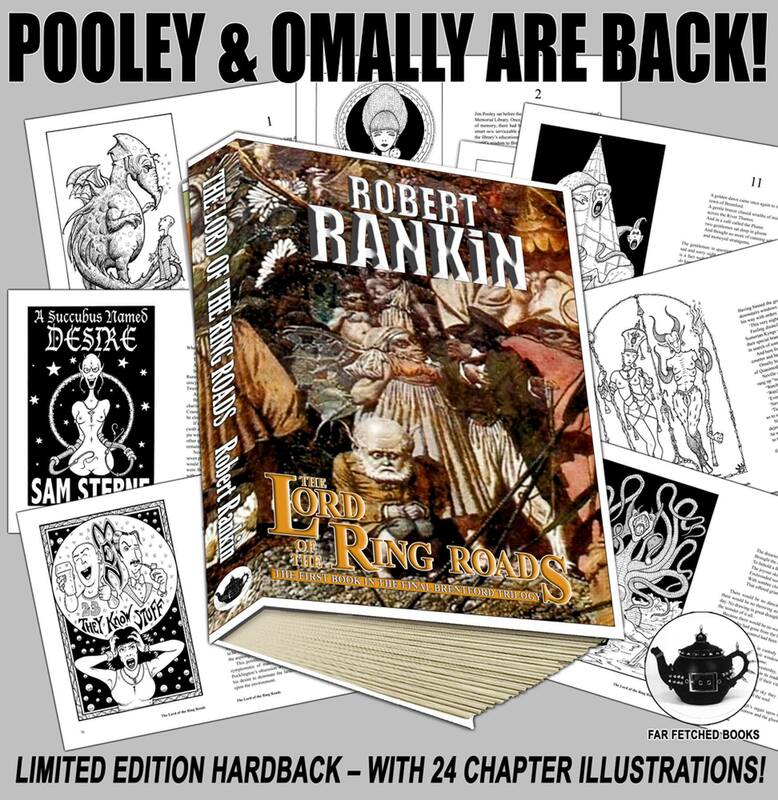 Many of Rankin’s books are bestsellers. They are building a ring road around Brentford. Why? Well, only one man knows for certain and he is the unfeasibly charismatic town clerk. Mr Pocklington. Could there perhaps be more to this project than meets the eye? Might there be some sinister motive? Possibly of the mind-boggling world-threatening persuasion? Well, of course, there could! Because this is Brentford. And there wouldn’t be much of a story otherwise. 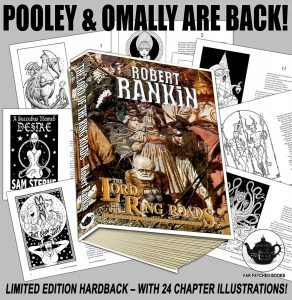 Only available to buy through Robert Rankin’s Facebook page.